From a ‘House of Eternal Ruin’ in Santa Fe to a rainbow-painted village in Taiwan, these are the 50 things to add to your bucket list in 2018, according to Time Out. 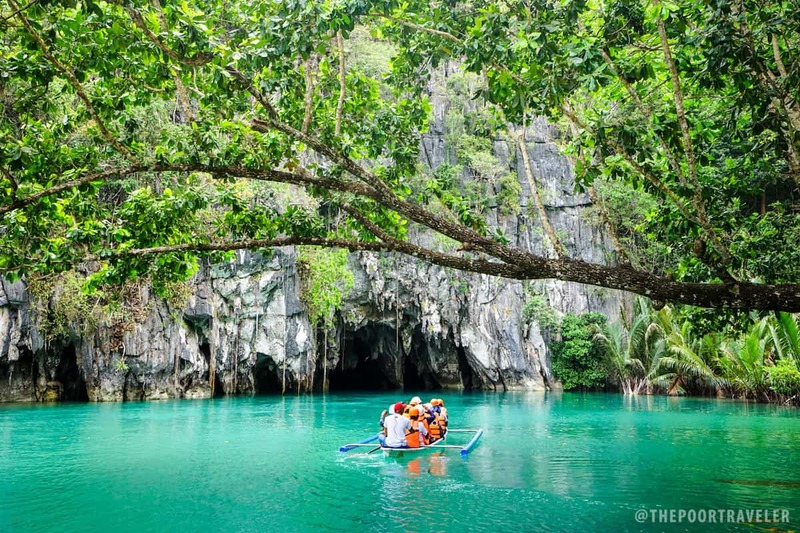 Here’s the ultimate bucket list when you see Palawan Tourist Spots. We’re giving you 30 places where you’ll see beaches, caves, lagoons, lakes, and more! 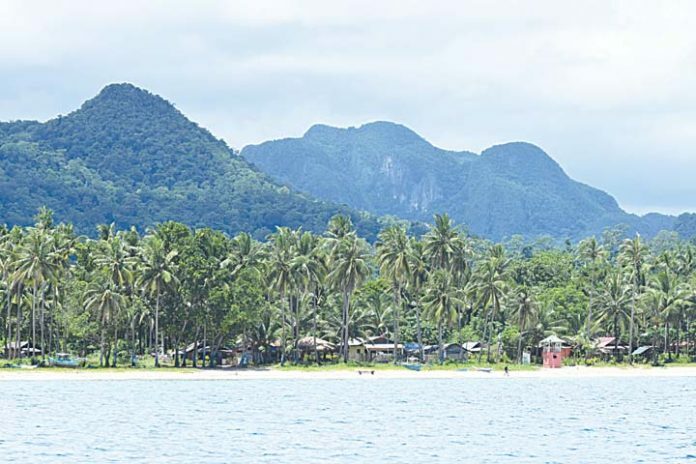 Sabang Renewable Energy Corporation (SREC) on Tuesday, April 23, broke ground to launch Palawan’s first hybrid power plant with a micro-grid to fill the growing needs of the area that hosts the Puerto Princesa Underground River, a UNESCO World Heritage site. SREC, a Department of Energy-registered renewable energy (RE) developer composed of WEnergy Global, Gigawatt Power Incorporated, and Vivant Corporation, aims to provide over 650 households and tourism establishments in Barangay Cabayugan with uninterrupted power supply. The hybrid power plant will consist of a 1.4 megawatt peak solar photovoltaic with a 2.3 MW hour battery storage system and 1.2 MW diesel generators to power its 14-circuit kilometer distribution facility. “The solar PV/Battery system enables SREC to provide an average of 50% of clean energy to the grid,” said Walden Tantuico, president/CEO of both SREC and Gigawatt Power. The world is full of wonderful places and we all have a bucket list of places we want to experience. If you think that list is complete, think again. We are about to shake you off terra firma and take you to a whole new level. Like the song says, ‘it’s a whole new world’. There’s just one catch. It’s underground. Ready to explore? Explorers have dug, burrowed and explored new places and have found some real gems for us – an underground waterfall, an underground cave, a mountain etc. Here’s a brief list for you. Discovered by accident, Longyou Grotto is a series of man-made underground caves in China. These caves were originally found by a villager in the year 1992 and were flooded. Over the years, the government has taken the initiative to open, clean and drain the routes for tourists. Upon further discovery and understanding of the place, it was revealed that they go back to at least 2,000 years. If you trace my history as a travel blogger, you’ll probably find the very roots of it in Puerto Princesa City. It happened over 10 years ago. My grandfather had passed away and I needed to fly to Puerto Princesa to attend the wake and the funeral. In the middle of mourning, I was captivated by the city. I had never seen one as clean, green, and organized as the Palawan capital. Prior to this trip, I had never traveled far for leisure, not counting the Boy Scout jamborees I joined as a child. I was already keeping a blog then, not this travel blog but just an online personal journal for my random musings. After that trip, I found myself writing about a place for the first time. I planned to return just to explore the city, something I wasn’t able to do that time, but it didn’t happen soon enough, for financial reasons. It would take more than two long years before I set foot in the city again; thanks to a company outing. Last year I managed to visit Palawan’s Puerto Princesa City —one of my favorite nooks in the country—for the third time. It was not hard to gather immediately upon stepping into the city that they have been enjoying very much the latest title they have coveted for their most important destination and asset; so much so that it has gone a bit too much. In my three days in the city, with a day devoted to visiting again the underground river, I never met anyone who described the park in other terms aside from that it is one of the New 7 Wonders of Nature. Right there and then, I knew that there was a looming crisis. 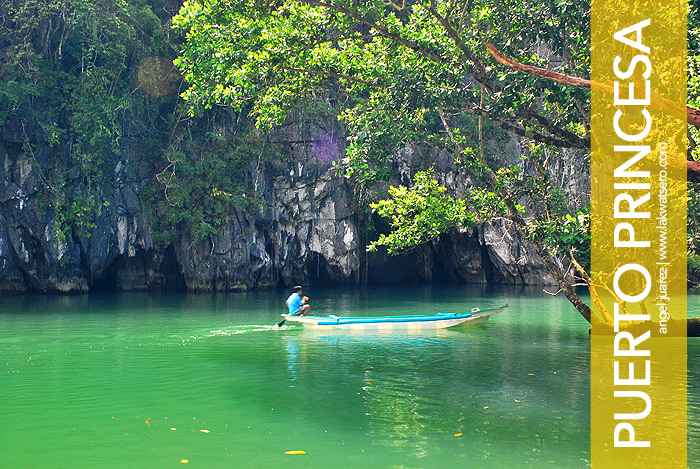 Since its proclamation in 2012 as one of the New 7 Natural Wonders of the world, the Philippines’s Puerto Princesa Subterranean River National Park, or more commonly known nowadays as the Puerto Princesa Underground River (PPUR), has nearly been singularly using this title to highlight its supposed integrity, and, subsequently, in promotions. 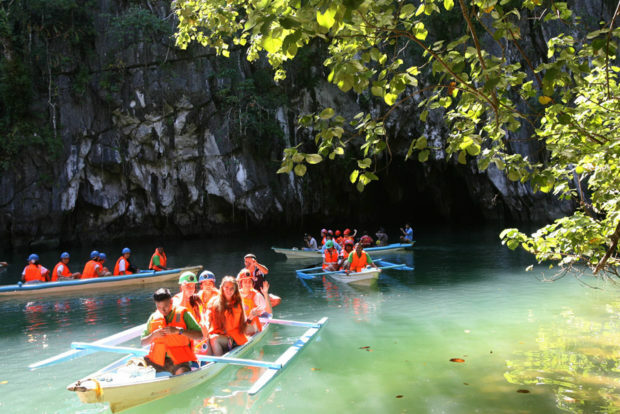 The Department of Environment and Natural Resources (DENR) will be cracking the whip in Palawan, particularly in the Subterranean River National Park in Puerto Princesa City and El Nido, according to officials. The DENR has added Palawan to Panglao Island in Bohol and Boracay where it is going after establishments violating clean water and easement laws. Environment Secretary Roy Cimatu said on Tuesday the DENR could not afford to have another problem similar to that of Boracay. Last week, President Duterte called Boracay a “cesspool” and threatened to close it down in six months if the sewage and garbage problems were not solved. 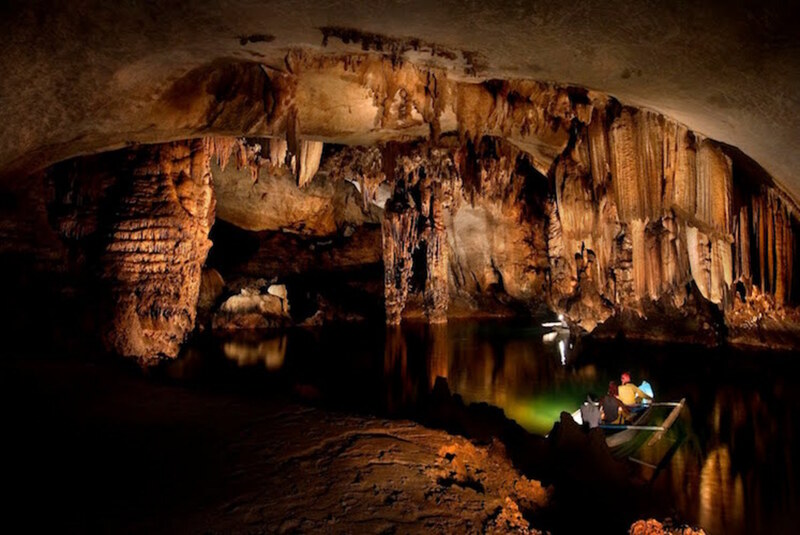 Speaking at the opening of the 2nd Philippine Environment Summit in Cebu City, Cimatu cited the condition of the Subterranean River National Park in Puerto Princesa, a Unesco World Heritage Site and one of the New 7 Wonders of Nature. 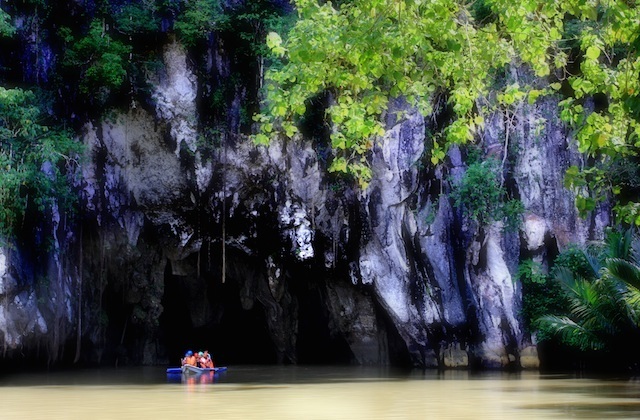 Considered the longest navigable underground river in the world, it flows directly underneath St. Paul Mountain Range, passing through caves and rock formations. Cimatu told reporters that the ceiling of the caves had darkened, which might be caused by too many people passing through.